It is with great sadness that the family of Joseph Emmanuel Gates II, 84, announces his passing after a short illness on December 13, 2018 at Kent General Hospital. Mr. Gates was born December 11, 1934 in Finleyville, PA and was preceded in death by his parents Joseph E. Gates and Alice Giles Gates, his brothers George and Giles, and his wife and love of his life Rebecca Twilley Gates. Over the years family and friends have enjoyed many stories of his exploits when he served for three years in the United States Army during the Korean War, spending 30 months in Panama. 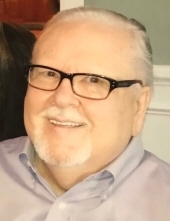 Having received Bachelor’s and Master’s degrees in Information Science (Library Science) from Clarion University of Pennsylvania and the University of Maryland, College Park respectively, Mr. Gates spent a career in the field of education. He dedicated many years, in a variety of capacities, as a social studies teacher, principal, and librarian, engaging bright young minds at educational institutions including Smethport School District, Smethport, PA; Laurel Middle School in Laurel, DE; William Henry Middle School, Dover, DE; and Delaware Technical Community College, Terry Campus in Dover, DE. Humorously, he thought his most helpful attribute in working with students was his great, booming voice. Mr. Gates served in a multitude of professional, civic and community nonprofit organizations including as a volunteer in the Delaware Democratic Party; as a board member of the Delaware State Education Association; a state delegate for the conventions of the National Education Association (NEA); a member of the board of directors for NEA; and as a member of the Dover Historical Society, the Sons of the American Revolution, Knights Templar of America, and the Clan Buchanan and Clan Hamilton Societies, among many others. Remembered as a skilled historian, he was a master storyteller, emphasizing the details with a colorful poem or a bit of song invented in the moment. Mr. Gates was a member of Christ Church, serving in many formal and informal capacities including as a congregant, lay reader, and church historian, as well as leading the way from the front of the pews for the baritones of the congregation. He had a passion for the antiquities and religious relics, and collected bookmarks and Dover postcards. For many downtown residents, they knew him best for neighborhoods walks and community parades with his many beloved Irish Wolfhounds over the years. He will be greatly missed by his children in Dover, Delaware Jeffrey Twilley, Stephanie Twilley Seeman and her husband Larry, Linda Twilley Scott and her husband Mike, and Edgar Twilley and his wife Janet Wyper of Gorham, Maine, as well as by his 6 grandchildren, 4 great grandsons, and a number of family members who were niece, nephew, and cousin. A funeral service will be held at 11:00 am on Friday, December 21, 2018, at Christ Episcopal Church, 501 South State Street, Dover DE Internment will be in the Christ Church Yard. In lieu of flowers, the family suggests contributions be made to: Delaware SPCA or Christ Episcopal Church, Dover, DE. To send flowers or a remembrance gift to the family of Joseph Emmanuel Gates, II, please visit our Tribute Store. "Email Address" would like to share the life celebration of Joseph Emmanuel Gates, II. Click on the "link" to go to share a favorite memory or leave a condolence message for the family.